I first came across wild garlic a couple of years ago, when Andrew’s aunt in Somerset pointed it out to me in a forest. I quickly became addicted to the stuff, liking it even more because it’s only available for a relatively short season from April to June. 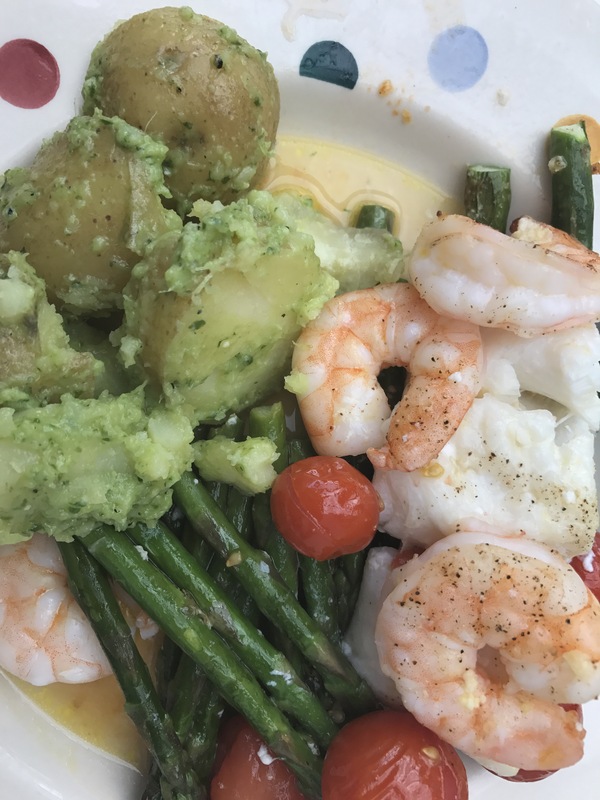 Like asparagus, Jersey royals and British strawberries, the wait for it makes them even more tasty. I am probably the least outdoorsy person I know though, so foraging for wild garlic was always going to be an issue: even if I found some in North London, I’d probably be too scared to actually pick it in case I ended up poisoning myself with something highly toxic. Luckily I discovered that Ocado sold wild garlic, so I ‘foraged’ as far as the internet and indulged in my seasonal treat. My Froothie Optimum g2.3 Platinum Series induction blender* is the perfect machine to make pesto, as it has a cute little jug for smaller quantities, so you don’t have to lose your ingredients in a large blender jug. 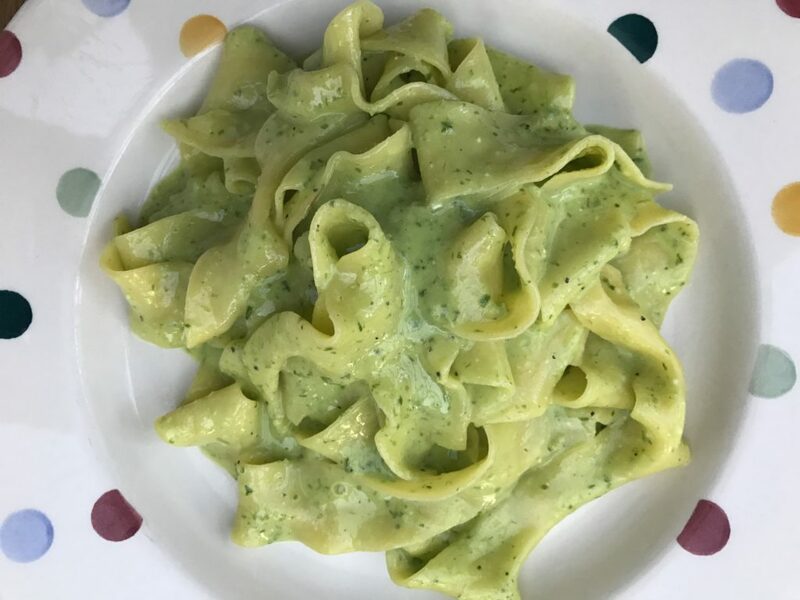 My pesto was a simple blend of wild garlic, rapeseed oil, parmesan cheese, salt and pepper – you could easily replace the wild garlic with basil for a traditional pesto, or sun-dried tomatoes, or I quite like the idea of a coriander and cashew pesto to drizzle over spiced meats. 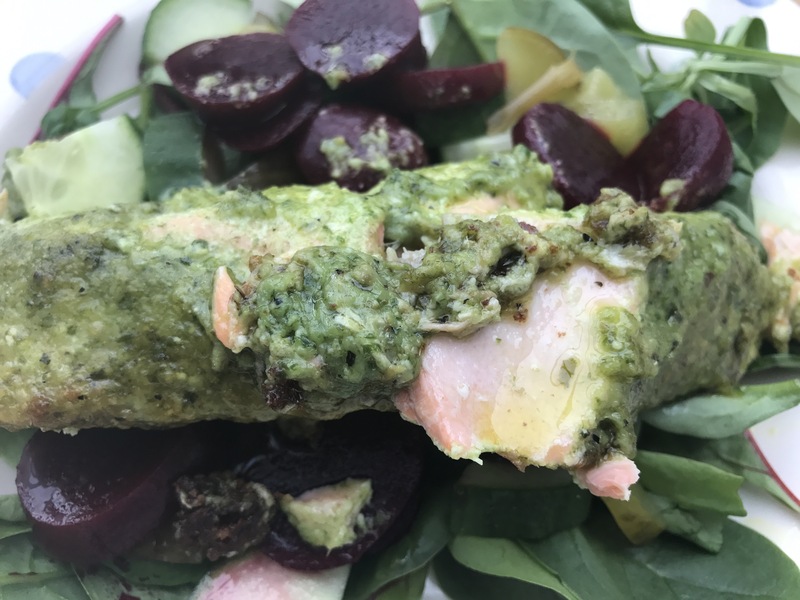 I have added some links to pesto recipes from fellow bloggers at the bottom of this page. 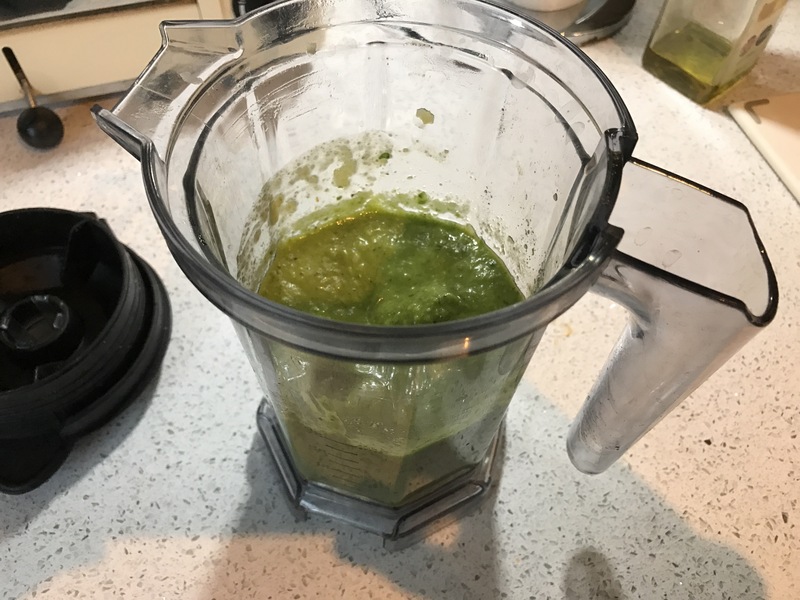 Anyway, pesto is super easy to make (and if you don’t have a blender, then use a pestle and mortar to grind the ingredients together, or even chop finely by hand). Here’s how you do it, if you fancy giving it a go. 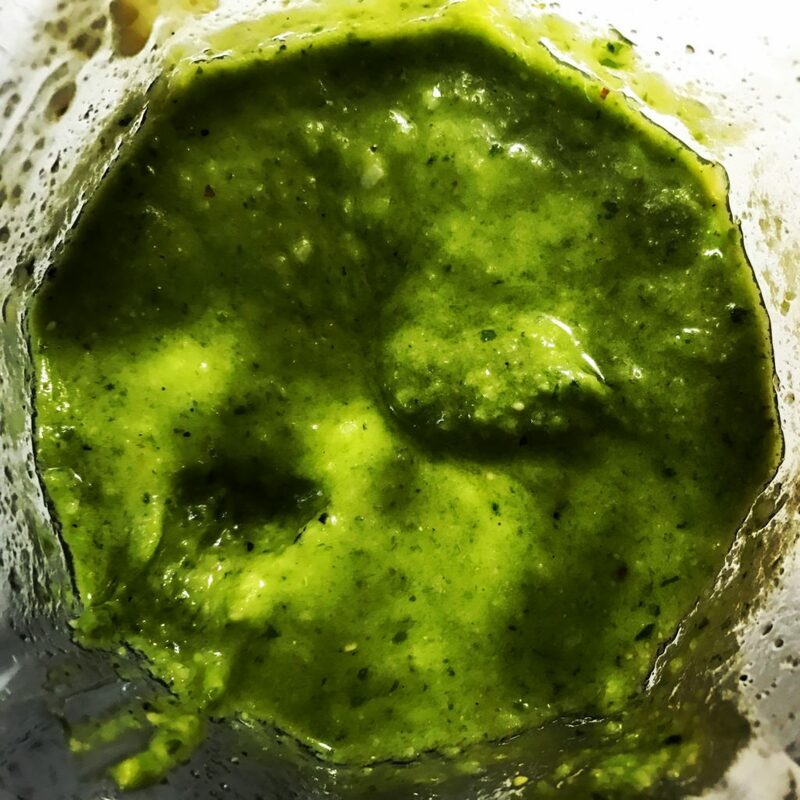 Simply blitz the wild garlic, pine nut kernels, parmesan cheese and 100ml of oil together in your blender until smooth. Add the extra oil as necessary to get the consistency of pesto you like. If you would rather store the pesto for up to one week in the fridge, then cover it with extra oil to stop the air getting to it.